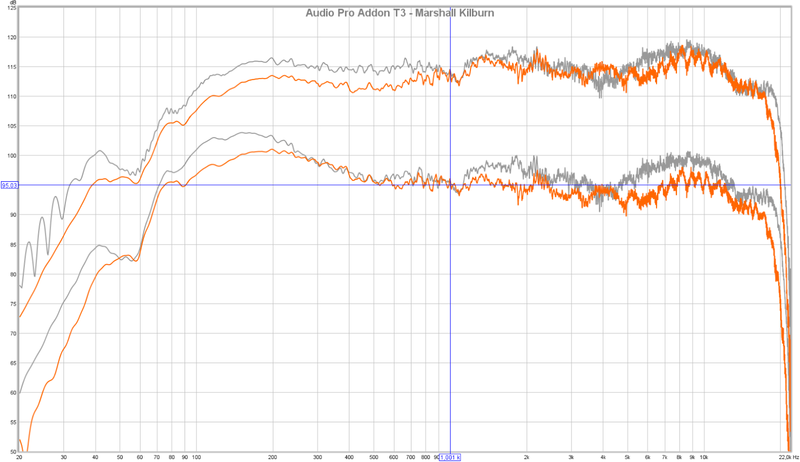 Oluv's Gadgets: Review: Audio Pro Addon T3 - smaller and better than the Marshall Kilburn? 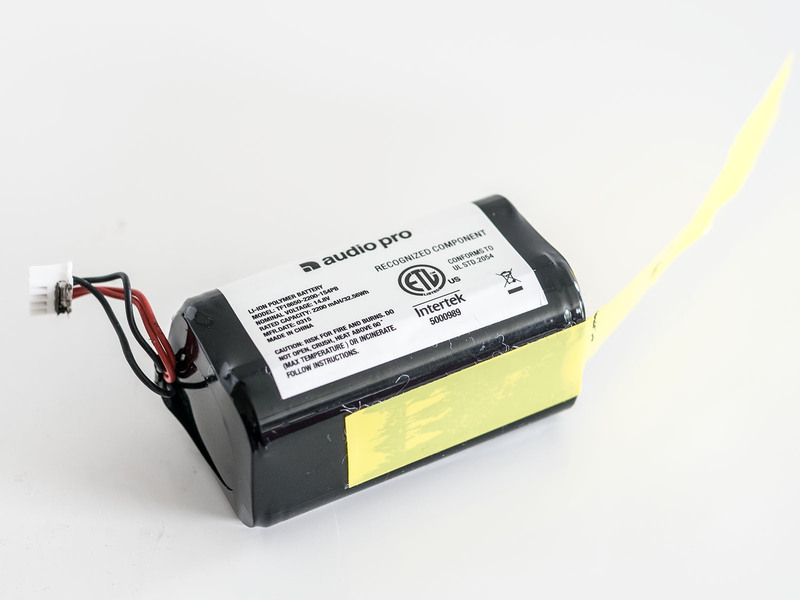 Prior to the IFA I didn't know much about the Swedish speaker company "Audio Pro". I have seen their Addon T10 speaker quite often when browsing through amazon, but it didn't catch that much of my attention until I discovered their latest announcement of the portable Addon T3 Bluetooth speaker. Someone on Youtube claimed that the T3 sounded so much better so than he had to return his JBL Xtreme, while Whafhifi even awarded the T3 the first place in their Bluetooth speaker group test among other devices like JBL Xtreme, Onkyo X6 etc. And although Whathifi often awards highest ratings to rather mediocre speakers like the B&W T7 or the Cambridge Audio Go V2, I got nevertheless curious about the Addon T3 and thanks to the Austrian distributor Novisgroup I was able to receive a review sample from them, so that I could finally convince myself if this speaker really sounds that great. Jump in to find out more. After the Canton Musicbox XS, the Audio Pro Addon T3 is my second coverage of the most promising IFA announcements I collected here. The Audio Pro Addon T3 is interesting because of its design. Apart from some funny resemblence of a Koala-bear, while some rather think to see Mickey Mouse in it, it simply looks like a real Hifi-speaker, albeit a shrinked one with an added carrying grip and an internal battery. Most interesting is the battery life claim, which should be 30 hours at half volume and still some impressive 12 hours at maximum. This would be indeed class-leading. Many companies state their speakers for 20-30 hours, but if you turn them up to maximum or close to that, they will even die after 1 hour. 20 hours of a UE Megaboom become more like 3:20 when played at maximum. Not so with the Addon T3, which indeed should deliver enough energy for a whole day at the beach with some additional hours for the afterparty. But to tell the truth, this is not a speaker I would willingly want to take to the beach. Not only the form factor is a bit disadvantageous for real portable use, but it is simply the finish which I would rather prefer not to get in touch with sand, dirt etc. 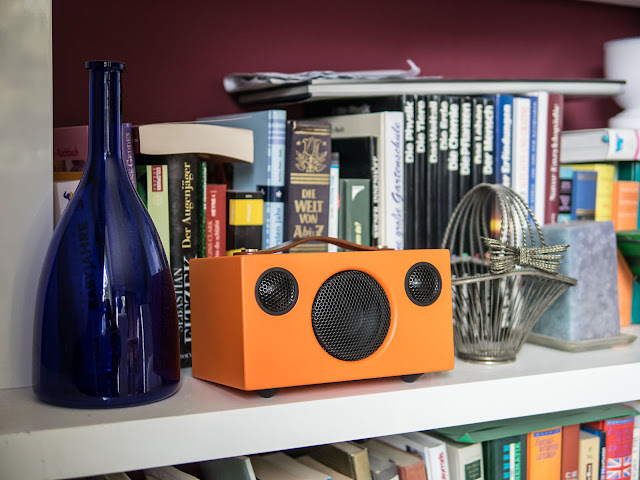 This is rather a speaker for home-use, but also around the house maybe, not one that I would take with me on trips etc, which is a pity, because the Addon T3 sounds really great, but more on this later. The Addon T3 is equipped with AptX for best streaming quality, but there is no handsfree or other gimmicks, no voice prompts, no distracting welcome-tones, a real serious speaker. 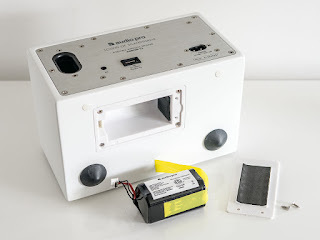 Some may also miss track-controls, or NFC, it doesn't have multipairing etc but is really reduced to the basics of a Bluetooth speaker with more of a puristic approach. Finish and build quality is great, although the external material is some kind of plastic, but give quite a durable impression. But this is no metal or aluminium, it is some painted plastic and comes within numerous different colours. My test-sample came in orange and was quite an eye-catcher. 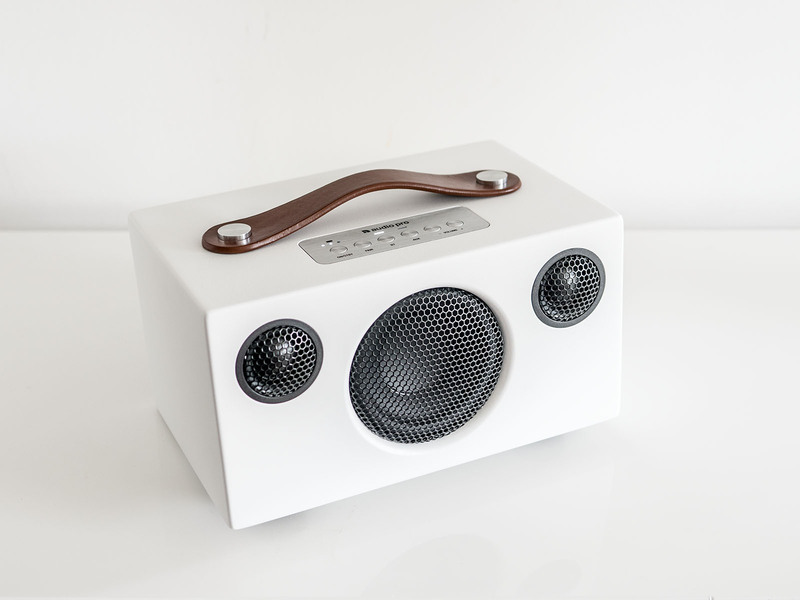 But as I liked the speaker so much I returned the orange unit and bought my own white one, which fits a bit better into our house. The first thing that came into my mind when I played around with the T3 was, that it reminded me of the Marshall Kilburn. Not so much on looks, but simply on features, specs and also acoustic design. The Audio Pro Addon T3 looks like a shrinked Marshall Kilburn. It has the same driver layout with one bigger woofer and 2 tweeters, the same power rating of 25 Watts the same bassreflex port and the same battery compartment at the bottom, with exactly the same type of battery built in just arranged differently. Both even have the power supply built in, so you just need a powercable for charging. This cannot be just pure coincidence, but more on that later. The operation is pretty simple: you get a control panel with a power button along with a bluetooth pairing button, an auxiliary input button and volume buttons, nothing else. If you intend to use the speaker in darkness or elevated on some shelf where you won't see the buttons it is quite hard to determine which one to press to increase volume as they are close to flush with the surrounding panel. The power button has to be kept pressed for a second to turn the speaker or on off. Unfortunately volume control is not synced between streaming device and speaker, but at least it does not have any influence on sound, regardless if you keep the speaker at maximum or the other way round as there is no additional dynamic sound compensation. The T3 sounds always the same independent of the actual volume level with exception of the highest levels, where some intelligend protection circuit starts kicking in and limiting lower frequencies to avoid distortion. 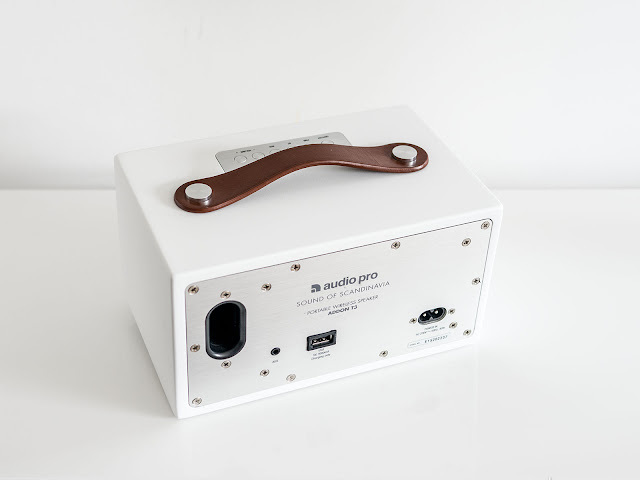 The T3 does not provide any sound adjustment as it is the case with the Marshall Kilburn. But to tell the truth, I didn't like the result of both bass and treble dials that much on the Kilburn as the bass dial boosted a range around 150Hz, which I would rather want to take down, and treble was already well defined as well. If you want to change the sound to your liking, you will have to use some kind or EQ-app etc but I don't think it is really necessary. As already mentioned the battery can be replaced in case it should die after heavy usage, just unscrew 2 torx-wrenches and you will get access to the battery which seems to be a four-pack of 18650 cells. And the Addon T3 can also charge external USB devices in contrast to the Kilburn which didn't provide this option. In this case the T3 delivers 1A at 5V. My only gripe would regard the strange grip design. It is simply much too narrow to really give any secure hold. I really have to press in my fingers with some force to get a hold, I am not quite convinced about this and hope the grip will maybe become looser after some usage. Apart from nothing to moan about. The feet at the bottom give a bit of cheap "Ikea"-kind of impression, like the sticky protection guards you can buy in any building centre, but this is really no important. The higher front feet help to tilt the speaker slightly upwards, which is of course nice if you listen from above. When I first listened to the T3 it managed to convince me from the very beginning. It has a nice smooth frequency resposne with a healthy amount of bass which even has some lower response below 50Hz and with very nice mids and wonderfully sparkling treble definition. It simply sounds good and I would get so far to claim that it is one of the best speakers in this class that I have heard so far and close to real Hifi. It sounds comparable to the Marshall Kilburn, but funnily even better. It doesn't have this honkiness of the Kilburn and sounds more restrained overall with even better bass-punch, which surprised me a lot, given the fact that the T3 is even smaller. But overall tuning seems to pretty similar between both speakers as I still think that both are built around equal or similar components, just that Audio Pro squeezes a better result out of it. Of course the T3 is bigger than a B&W T7 or a Soundlink III, but it also sounds considerably better, simply more mature and more serious, without any artificial boosts and sound enhancements. Putting the JBL Xtreme beside, the T3 will sound more natural, far not as bass heavy but with much smoother mids and treble at the same time. At the same time you won't get any loudness compensation. This might of course result in some tinny sound at low levels, but in fact it doesn't. Sure the T3 won't play as full-bodied as the Soundlink Mini at low levels, but it still sounds pretty full and far from tinny, it is just that you won't get this strong bass boost. I especially liked the "kick" that the speaker delivered at normal listening levels, it was able to hit stronger than the JBL Xtreme without this strong bass boost. The T3 holds up pretty well up to 75-80%. It has 50 volume steps and up to step 40 it sounds prefectly clean and meaty without any obvious bass reduction or compression while being free of any kind of distortion, even with some heavier and bassy stuff. Up from there the bass obviously cannot keep up that well and the higher you turn up volume the more the treble will be pushed forwards. At maximum the T3 becomes really treble-heavy, the bass is still there and hits strong, but it is simply softer than the treble. It is not bad and still sounds punchy, it is also comparably loud to the Marshall Kilburn, but sounds more forced also due to some additional limiter that tends to make the sound pump quite a bit with dynamic recordings. If you want best results, I would keep the speaker some notches below maximum. Something you won't get from the T3 is any kind of stereo separation. Only the 2 tweeters have some distance between them, but there is just one woofer, so some left/right separation will be limited to higher frequencies, but from 1 meter away even this will disappear. This is not a severe problem as very few single cabinet manage any real stereo sound at all, so I wouldn't rate this as a negative point. There is simply no way to get a sense for stereo with this design. 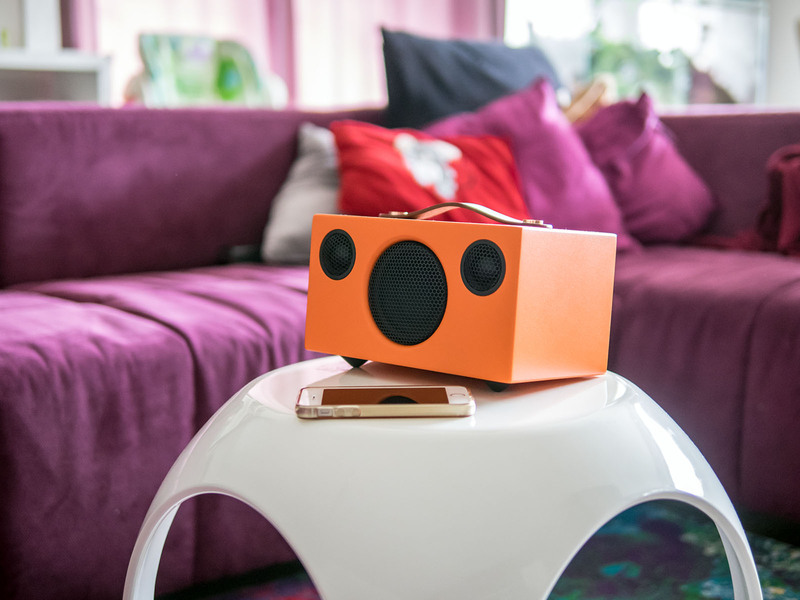 I only think Geneva Lab has some tricks up in their sleeves with "embracing sound" technology, which they still seem to apply for their latest Aerosphere speakers, although I haven't heard them yet, so I cannot judge how good it works in reality. To give you an idea about the sound of the Addon T3, I prepared a video. I would have liked to put it against the Marshall Kilburn, but as I didn't have any at hand I simply took the JBL Xtreme instead. I think the T3 sounds quite a bit better overall with a more natural sound, nicer sweeter treble response and less artificial bass-boost. Although I must confess that for outdoor listening I definitely preferred the more bass heavy tuning of the Xtreme more, but the T3 is no slouch even outdoors, it is just that it needs a bit of higher levels to really rock, as due to the lack of loudness compensation it might appear a little tinny when played outdoors at low levels. There's not much not to like about the Audio Pro Addon T3, if you like the looks and don't mind a less portable speaker than those book-sized devices from Bose B&W etc, the T3 is definitely in a league of its own. Soundwise it could be even regarded as some kind of reference in this class, that's also the reason why I bought my own unit and will use this for my future tests and comparisons with other speakers, just keep in mind that you will not get any real sense of stereo, but hardly any of these devices really offers this with exception of those that apply some particular tech like RIVA with their "Trillium" technology or Genvea Lab with "embracing sound". Of course a HK Onyx Studio 2 will sound even more profound than the T3, I think Harman tweaked the sound of the new model quite a bit compared to the old Onyx and Onyx Studio models, as it seems to sound clearer and even fatter than before, at least this is the impression I got. The T3 cannot quite compete with the powerful and more bassy tuning of the Onyx Studio 2, but I think it sounds more natural at the same time. It is smaller, although both are not really suitable to be carried around in a backpack or something, but at least the T3 has really an outstanding battery life in contrast to the Onyx Studio 2. The T3 gets my strong recommendation for anyone looking for true Hifi-like sound in a puristic and portable form-factor. I have yet to hear something much better. I have been reading reviews for quite some time and I think they are the best available on the web. I also want to thank you for posting the DIY software upgrade of the JBL charge II that went smoothly and made my Charge II sound like a totally different, and much better, speaker. I also own a B&W Zeppelin Air and everytime I use it, it manages to make me smile. 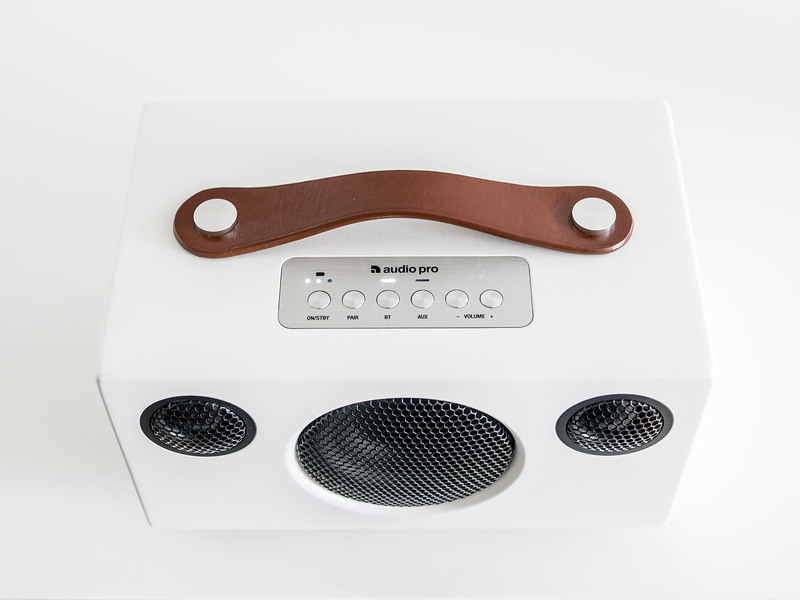 The only limitation is that it is an Airplay only machine and has no blutooth connectivity. I wanted to ask you if you were planning a test of the new B&W Zeppelin Wireless that now has both Airplay and Bluetooth. I am not sure, I didn't like any of the Zeppelins so far, and I think even the T3 sounds better, although maybe not as loud. Besides none of them is portable and the B&W T7 was a real letdown. Any sound comparison between this and the Riva X (or S) ? Which one would you consider for home-centric usage (bedroom, kitchen, bathroom...) at low / medium volume ? Or maybe an other one like Bose Soundlink Mini ? Trully speaking I often listen to bad quality sound (youtube, mp3, series) and I hate to have too much bass playing those. I am waiting for a new Turbo X unit as my unit is probably not 100% representative. I compared it to another unit RIVA brought and mine had much stronger treble roll-off. Still I think the T3 sounds overall a bit more mature, although the Turbo X has a better sound space, it sounds more open etc, but cannot quite keep up with the punch of the T3 and the nice treble. I would wait for the RIVA S, as I think that this sound best for medium levels, it will probably also sound better than the T3 if high levels are not the main priority, and from what I heard it also sounded better than the Turbo X, just that the Turbo X could play quite a bit louder. And also, thanks for your really good work. I discovered your website few days ago and it's very usefull ! About Riva, I'm really curious about the Riva S. Any news of it ? About Riva X, I don't really like the Turbo, Surround, or speakerphone that I'll probably never use and the design isn't so attractive but the sound seems quite impressive (never hear it in real life but in your comparison, I nearly always prefer Riva X to others products). Great review! How does this compare to the Beolit 15? I just got a mail from AudioPro support. The Addon T3 does NOT have AptX. i am listening are the same, mostly on low volumes. 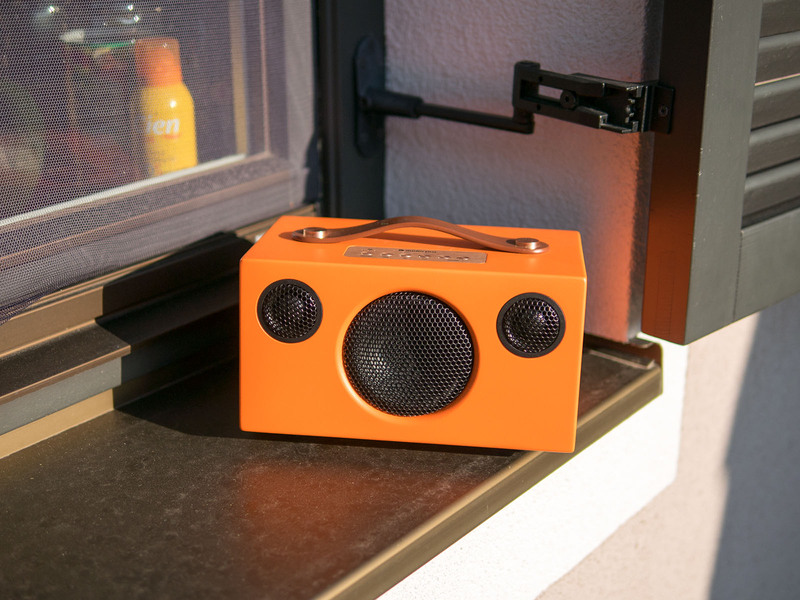 Do you believe the beolit 15 is the best sounding portable speaker? Hello, sorry this post doesn't directly refer to this speaker, but to the Klipsch KMC-3 (no more produced). I just realized that Klipsch obviously doesn't offer any portable speakers any more. There is no successor to the KMC line. Do you know anything about Klipsch abandoning this market? I already have alot so name some that maybe aren't like on mtv and stuff. NEW and OLD i dont care. I like ones with samples in them too. And like sexual or abusive or CRAZY type of ones are good too. are you sure the Addon T3 features AptX? Because I can not find this information on the Audio Pro homepage (it is mentioned at each of the other Addon units like T9, T10, etc. but not at the T3 informations page). What is 3D sound zooming? Is this the best wireless speaker under the £200 mark at the moment ? Hi, great review and really helpful. I am torn between the Bose Soundlink Mini and the Addon T3. Never really play music loudly and don't need the sound to fill a large room, just wondered what your preference would be between these two? at low levels the Bose will sound more bloated and warmer but without treble, the T3 may sound a bit thin if not turned up. 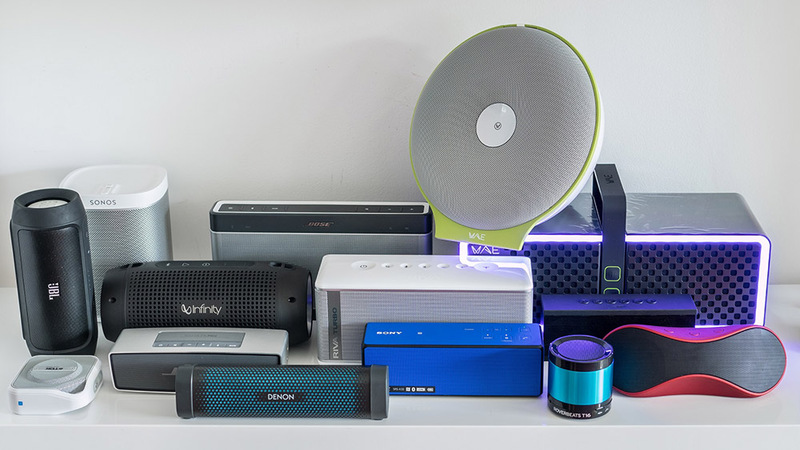 i'm looking for a wireless bluetooth speaker to play my apple music on and have narrowed it down to the HK Onyx 2 (£100) or the Addon T3 (£165)... it will be sitting on a shelf in my lounge and not move much from there. Thank you for a very good review. I am thinking of buying the T3 as it has a nice price at the moment here in Finland, but i am left wondering how this compares to the bigger T10? I know the T10 has no battery, but it will propably stay in the house anyway so it is not a problem. So do you have experience with the T10 and would you consider it to be a real improvement over the T3? I haven't heard the T10 yet, but I am sure it will sound even fuller and more powerful. The T10 seems to be more inline with the Marshall Stanmore, while the T3 rather resembles the Kilburn. Hi Oluv, could I ask what you'd prefer for an office, based on low/mid level volumes? The T3 or Minirig 2.1? This is the choice for me too. It's either the Minirig 2.1 (in which case I can take 1x minirig if I'm away for a couple of days) or T3 plus a second, cheap, bluetooth speaker to chuck in my bag. I'd love to hear your thoughts. And thanks for the excellent reviews. The Minirig 2.1 setup sounds great when at slightly higher levels, it does never sound bad or so, but I would prefer it a bit clearer at really low levels. The sub adds quite a bit of punch while at low levels the treble cannot quite keep up. But with the Minirigs you get at least real stereo and they need less space either. The T3 is a bigger box, which you would have to place beside your screen or somehere else, while the Minirigs can be used like a regular desktop system. Of course at high levels the Minirigs win hands down with a much more powerful sound, but the T3 is not bad also half as cheap, so it goes down to what you are really willing to spend. Both are great speakers, just completely different. Ich habe den kleinen China... ähm "Schweden"-Lautsprecher jetzt auch! 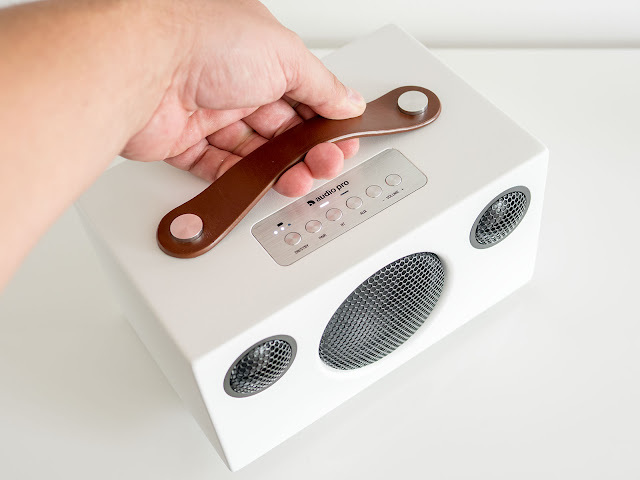 Er ist der erste Bluetooth Lautsprecher der Mitten überzeugend kann. Oder sollte man das einfach HiFi Sound nennen? Auch leise nervt er nicht mit angehobenen Bässen, um bleibt linear. Ob Soundlink Mini oder Beolit 15, sie alle geben eine Tube "Dröhns" drauf. Was bei alten Michael Jackson Sachen sofort auffällt oder bei DaftPunks Get Lucky. wo ein JBL Extreme nur "Brei" rauswirft, nichtmal mein Beolit 15 macht so eine gute Figur bei ser "Präzision", obgleich der B&O einen gefühlten doppelt-dreimal so dicken Bass hat, haut der ja sogar den Extreme von der Tischplatte. T3 ist da wesentlich zurückhaltender, und musikalischer. Er klingt "ungequält" und nicht so nach "processing", um mehr aus der Kiste raus zu quetschen. Ein ehrlicher Lautsprecher, der gar nicht erst versucht mehr zu sein als er ist. Jetzt geht die Suche nach einen Täschchen los, da er nun überall mitkommen wird. Und diese selbtklebenden Gummi-Eckenschützer werden bestellt, Den mache ich mir "rugged". Ich werde das Teil auf jeden Fall behalten, perfekt für meine Sammlung. Dear Oluv, thanks for your review it's the best ever I found in web. Do you have plan to measure the step response of a loudspeaker? As I can see, step response is another factor which is important part to determine the sound quality of a loudspeaker, especially at low-frequency. I came upon your excellent site when searching for comparisons between the Monitor Audio S150 and the Audio Pro T3. I have listened to both in a music store (Richer Sounds in Manchester), and to my ears the T3 blew the S150 away! A shame, as I have a pair of MA Bronze 1 speakers and had hoped that their Bluetooth speaker would be equally good. I am hoping to buy a T3 soon, although the (now sadly defunct) guitarist in me would really like to go for the Marshall equivalent. However, the USB charging socket on the T3 is really the clincher, as I hope to use it to power a Google Chromecast Audio dongle which will then be plugged into the 3.5mm input, thus giving me a streaming speaker. I'll ;et you know if it works. Oops! Must remember to proof read my posts - DRIVE, not tribe! thank you for the excellent review! could you please comment on how does the T3 compare with the sonos play 3, in terms of sound quality? I'm impatient, so now I can answer my own questions, since I already bought one. It does with the Chromecast Audio, but not well... I mean, the USB port does power the CC and you can play music using this setup, but it produces static noise, because you power the source (CC) from the same battery as the amp, or something like that. 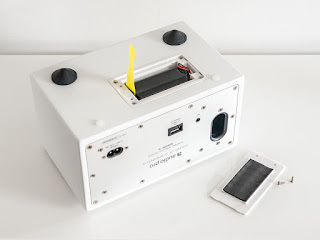 IN any case, if the CC is powered separately there's no static, so this could work very well if the CC is powered from the mains or from a separate portable power pack. I hope AudioPro will develop a Google Cast compliant version of this speaker, when they do that I'll definitel buy several. My comparison to Sonos Play 3 - I am replacing the Play 3 with the T3 and I have no regrets. I'm no expert so I can't go into the kind of detail Oluv does, but for me the sound of the T3 matches or maybe even betters that of the Play 3. Well, I've had this little monster for just over a month, using the Google Chromecast Audio exclusively as a source, and I really don't regret the purchase. Cranked up to 1/2 volume (all my wife will allow) it's great, although the bass does seem to lose some of its prominence at lower levels - maybe that's something to be said for the Marshall Kilburn's tone controls? Yes Dan, I am also a bit miffed that the USB socket won't power the Chromecast, especially as the spec implies that it ought to (maybe it comes off the DC side of the transformer or something equally technical) but as I use the T3 exclusively indoors there is usually a socket nearby, so no big deal. Hi Dan, yes I also get static interference when trying to power the chromecast from the T3's USB socket. I was considering the Monitor Audio S150, as portability wasn't a high priority for me, but having auditioned it alongside the T3 made my mind up. "I'm sorry but the USB outlet on the T3 is not intended for this use, only for charging. The outlet has common ground with the signal and that why you get noise when using it for other purposes." @Helge - thanks for the suggestion! I just ordered one. Picked up one here in Denmark as our local version of Dixons had it on sale for app. 80£. Better sound than my Bose mini link2, but the Bose fits better in the kitchen due to the small size. A present for my 12year old daughter. Had a little problem with my T3 - after a couple of months it wouldn't power up when on battery power, but weirdly if I just touched the mains lead to the socket it started up. Took it back to Richer Sounds and they immediately replaced it. I now that on the new unit, when the battery is fully charged it displays three steady leds, whereas the old unit always strobes, I think the first one was faulty from the start. Any updates on comparing this to the RIVA S? Shame about the interference on with the Chromecast Audio. Did anyone try putting a ferrite core filter on the USB - they're good at cutting out high frequency interference. Just an idea. This looks very similar to a very old speaker made in japan. I need to find that one it sounded like unicorn rainbows. but was a limited run. Hi, can anyone tell me if it is possible to take out the battery and use the T3 on mains only? I am looking for something that runs off mains, and when needed put a battery for portability. Taking out the battery should hopefully prolong the batteries life. Anyone has some noises when charging and playing music simultaniously? I have the T10 version of the audiopro addon speaker line, connected via a quality auxiliary cable to an Amazon Echo Dot. Now, would you mind answering this question, relative to my setup: is the speaker held back by the Echo, and its audio processing, whose quality remains for me an unknown. The only thing I know is that the internal DAC is made by Texas Instruments: DAC3203. though your review in here suggests you love the T3, you no longer talk about it on youtube. so you must have also fallen out of love. so i'm wondering if you can suggest what i can replace mine with - to have the good of the T3 without the strange mud? Don't know about Olaf, but I'm still in love with my T3. Maybe it's the source that you are using? Mine is exclusively from my Chromecast, which gives an excellent signal quality. Maybe Bluetooth sources are a bit less reliable? Many thanks for your many helpful reviews - I have bought a number of your recommendations: Riva S Turbo X, the Kenwood (from Japan). Without doubt, the very best of all the speakers is the Vifa Helsinki. An amazing speaker!!! Your internet sites are SO helpful! The ability (via your database), to make comparisons is extremely helpful. It must take a lot of time and hard work and what you do is very much appreciated. A couple of suggestions: I bought the Riva S, based on your review - incredibly good sound (and now some good offers on Amazon and eBay too)! Could you do a "stereo pair" comparison, of the Riva S, on your data base - like you did in your review. Two Riva S speakers, in Stereo mode, would make a good comparison, for some of the other stereo pairs you have on there. Additionally, you have used Pink Floyd, a number of times, to demonstrate the spacial effects of some speakers. It would be useful to have the same track on the database, for stereo comparisons - or is that too big a task now? Once again, thank you - for providing the most complete and useful information, about speakers, on the net! How does the T3 compare to Denon Envaya? I want to ask since they are similar price range.